Use Catholic Saints Names For Confirmation. Your choice of Catholic Confirmation names says something about you. It shows your devotion to a particular saint or that you want to imitate that saint's virtues by choosing that name. Choose the names of Catholic saints that appeal to you, inspire you, or resemble some aspect of your life. Study a lives of the Saints book that covers many saints. This is important. It's good to read about many saints before the year that you are studying to be confirmed. This way you have time to find your favorite names or to develop on a particular devotion. Confirmation gives you the weapons necessary to fight your own faults, the devil, the flesh and the world. Your patron saints can help you win this spiritual battle. The more Roman Catholic saints with which you are familiar, the better you can choose a Confirmation name (or, if you're in school, write a saint report for your given name). More importantly, knowing the trials and victories of the saints makes it easier for you to keep the faith in the long run. Confirmation strengthens us in final perseverance, meaning that it's an awesome help toward getting to Heaven. Choose a saint's name that represents what might give you most trouble persevering, your dominant fault. That way you'll have a good reminder to pray to this particular patron saint. Usually you'll need to read to learn about enough saints that you can make a good choice; so begin to read saint stories early. Even short stories are very helpful and can save you time. A child's saints book is a huge help as it covers a lot of virtues in a relatively short book. Otherwise, find a friend to tell you the stories or find audio books on the saints. If you have the opportunity to be Confirmed, prepare well and be confirmed as early as your bishop allows. This way you or your children will be better prepared to meet the moral challenges that we all face at home, school, and work. The studies prepare our minds, the prayers dispose us better, and the sacrament grants us the grace to be strong. Choosing amongst Catholic Confirmation names can require much study if you are searching for that perfect patron saint. The real "list" is a subset of the list of saints names. since we choose from this list. You can choose any saint, although it is customary for men to choose masculine names and ladies to choose feminine names. Prayer makes this decision easier. If you're an adult and able to choose your own saint's name, you can read a collection of saints lives to find your favorite patron saints. It is easier if you have been reading good Catholic books that include the lives of the saints. 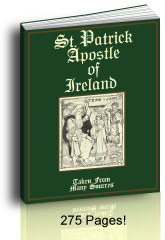 A collection usually has a short story about many saints, usually popular saints. Also, you can choose your long time favorite name to find out what the saint was like or if there is a saint by the same name that has a story that matches your own life. Once you've chosen a saint you can then focus on books about that saint as well as books written by that saint. Ask your pastor, family, and friends if they have suggestions. Sometimes they know the perfect story for you. Read the short stories in the Catholic Encyclopedia or Butler's Lives Of The Saints (I do not recommend Thurston or Attwater's versions - These authors are known to have been revisionists and, at times, seem not to believe what they wrote). You'll love Butler's Lives of the Saints. It's concise in each story, yet encyclopedic in covering the many saints on each day of the year. If you're a student and suddenly the Sister in your Catholic Confirmation class asks, "Which patron saints have you considered for your Confirmation name?" Or, "Please write a report on your patron saint for Confirmation. It will be due in three weeks." Pray first. Father or Sister have probably taught you the "Prayer to the Holy Ghost". Prayer helps any project. Remember, God gives the increase! If Sister suggests that you use your given name to better honor your Baptismal patron saint the going is easier. Simply ask your parents or godparents which saint is your patron namesake, if you do not already know. Then find a book or two to learn the main details of his or her life and virtues and follow Sister's directions. 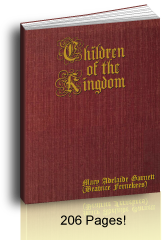 You'll really like using a picture book of saints when your children are young. That way you can see the virtue that the child could benefit by having and the child can see much of the story at a glance. The short stories usually tell the main points that a young child would need to know. I also like using archive.org to find older books in their entirety. We store them on our tablets for handy reading. Then find appropriate books if you are required to write a book report. 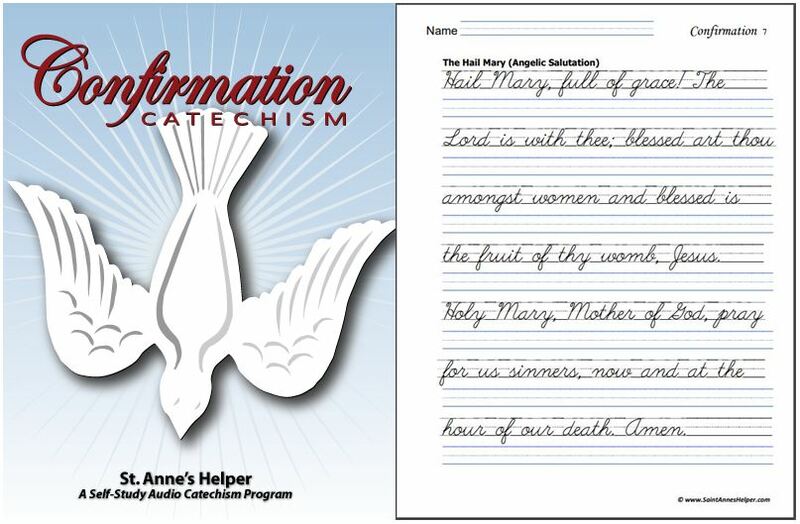 St. Anne's Helper Confirmation Catechism is the best that we know to help with the Confirmation Preparation questions and answers no matter which Catholic catechism program you use. It has the basics in audio or worksheet form which make it easier to memorize the prayers and answers as well as write them well. 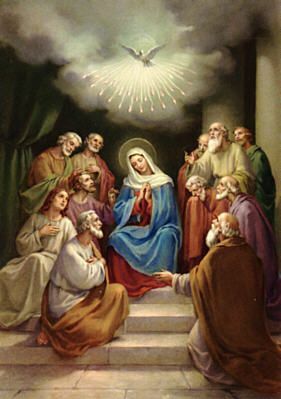 If Sister suggests that you choose another of the millions of saints for your Catholic Confirmation name, so as to have another patron saint to guard you and guide you; ask the Holy Ghost for the discernment to know the virtue that will most help you to become a saint. Then search for patron saints of that virtue. Still not sure? Ask your parents which Catholic saints they think will be best for you. Frequently they will remember that you might have mentioned a favorite saint when you were younger or that you had a favorite statue or image that you were interested in the story that went with it. Grandparents, Godparents, relatives and friends might say which saint they think remind them of you. If you're a parent, I really recommend having your children study the saints lives during the year previous to their Confirmation year because that's when you'll help them choose their Catholic Confirmation names. It does not have to take a great deal of study. Your local Catholic schools should have an abundance of books and your librarian can be helpful in finding the books for you. Often they can use an inter-library loan system to find appropriate books. Nowadays even public libraries are fairly good at helping you to find books that they do not have in stock. We suggest reading a list of Roman Catholic saints as a place to start. Choose from your Missal, the saints days are usually in the back. Read Is It A Saint's Name. The virtue that is opposite your main fault. The virtue that you admire most in others. The story you identify with most in other ways. 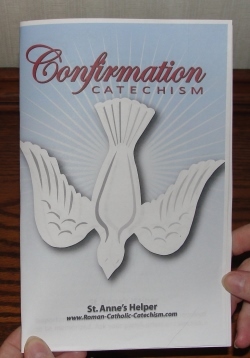 The feast day of your Confirmation day, Baptismal day, or birthday. It is good to listen to what your parents or teachers recommend because they are usually more familiar with the lives of the saints and their virtues. They know you well enough to make good suggestions. A good idea for choosing both Baptism and Confirmation names is to check lists that are found in Catholic liturgical calendars to see which saints are near your birthday or another important day. In the case of Confirmation, it can be good to choose a name from an interesting religious order. If you are fortunate enough to have the great grace to be able to receive Confirmation, go for it. See our list of Roman Catholic saints and our notes below so as to choose between patron saints for Catholic Confirmation names. Learning the prayers and praying them grants us more graces. Learning the answers and using them makes it easier to discern between right and wrong throughout life. 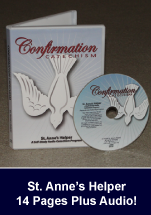 We recommend using the Baltimore Catechism Confirmation questions as they have the easiest answers to memorize. 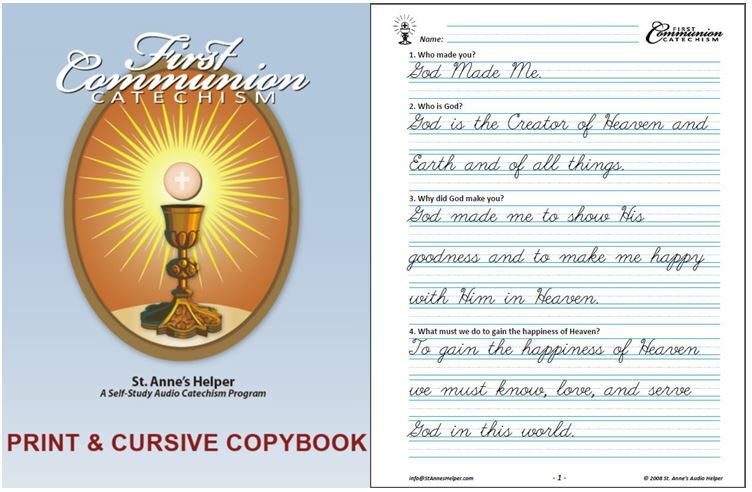 You can use our St. Anne's Helper downloads to make it even easier. Who's Next To Be Confirmed? Do unto others! Let your brothers and sisters, relatives and friends know to read saint stories ahead of time. So many times we arrive in class and wish that we had read more before we arrived. It took me four children to get this figured. So many times, the children had to choose their Confirmation saint at the beginning of the school year; yet they hadn't been studying many saints the year before or during the summer, not even their own Baptismal saint, so I've started this on my own during the year previous to their Confirmation year. Basically, children should be learning about saints all throughout their lives, especially as the liturgical year reminds us of so many that we can simply mention the saint of the day. If you practice devotions in your home or classroom, your children or students will already have an idea of the kind of saint they'd like to study.